It’s September and your garden is cranking out harvests that taste so delicious that you want to hang onto everything as long as possible. 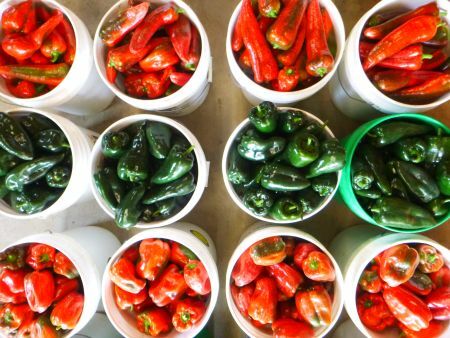 Or maybe your CSA farm has peppers ripening like crazy this time of year. We certainly have them by the bucketful here on our farm! If you’re like us, you’ve been babying those precious tomato plants in the garden for months now. Since Memorial Day to be exact! Seems like forever to wait for a ripe tomato! Then, all of a sudden, your tomatoes start to ripen. And by September, you’re swimming in tomatoes! That’s how we feel on the farm, too! Farmer Gene and the crew harvested well over 1000 pounds this week alone. Read more about What To Do With All These Tomatoes?! And that’s no bad thing because in America, a cool, crisp cucumber is just about the definition of summer, right? 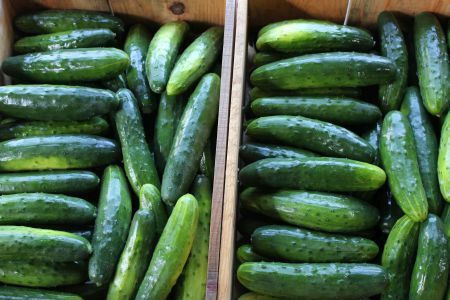 But, what to do with so many cucumbers?! What is in the Winter CSA? It’s hot August and you’re spending time in the lake, in the kayak, and outside picking berries… Winter is the furthest thing in your mind. Everywhere you go, you hear people talking about the heat and humidity. You join in, but you have a nagging feeling in the back of your mind reminding you that soon things will change. Soon enough we’ll all be complaining about the cold and snow. Read more about What is in the Winter CSA? Pesto used to be an intimidating word to me. I didn’t grow up hearing it often, except occasionally at an Italian restaurant. And even then I had no idea what it meant. Just that it sounded fancy. I’m a farmer with a huge abundance of fresh veggies at my disposal. And one thing you might be surprised to learn about me is: I don’t can. What do you mean? Don’t all farmers spend their summer months over a hot water bath processing dozens of jars of veggies? Maybe many do, and I have in the past. Believe me I know what it’s like. It’s hot. It takes a big chunk of time. And over the years, I’ve found that I don’t like to do it. 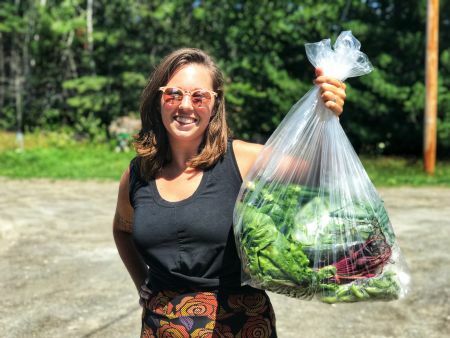 One thing I can say for sure about most new CSA members, is that you report having to work to eat all of the veggies that come every week in the farm share. That it gets you eating more veggies than you have in your life. I know this time of year is heavy on the greens. Some of us just can’t get enough greens in our lives, and others are overloaded. Don’t worry it won’t be like this forever… just wait until summer squash starts. Ha! Others still are smart. They know that greens that look like this baby kale taste delicious this time of year and want to preserve that for the times when greens are more sparse. Hate throwing away plastic bags? Wonder what you should do with your big plastic bag that your CSA comes with each week? Here is a great list to get you started on reusing them each week!